Checking government sanctions and terrorist watch lists help companies to meet federal requirements in an increasing number of industries. Protect Company Reputation - Government sanctions checks allow companies to uncover any federal sanctions that have been levied against potential and/or current employees. Protect Safety of Employees & Public - Screening applicants against terrorist watch lists is absolutely critical for companies who deal with sensitive information, hazardous materials, or any other item that if compromised could pose a threat to the health and welfare of company employees or the general public. A list of individuals and entities that have been denied export privileges by the U.S. Department of Commerce Bureau of Industry and Security. Dealings with individuals on this list are prohibited. CII will search the Federal Bureau of Investigation Wanted Search Center based on the applicants name and gender. The database allows for a single search that provides access to those individuals who are Fugitives, Missing Persons or are being sought for Information by the FBI in the following categories: Terrorism, Cyber Crime, Murder/Violent Crime, Bank Robbery, Kidnapping/Missing Persons, and Crimes against Children, Parental Kidnappings, Fraud/White T Collar Crime, and Criminal Enterprises/Drugs. A database information service that screens the sanction history of individuals in the healthcare field, reporting disciplinary actions that can cover exclusions and debarments, to probation and letters of reprimand. The Excluded Parties List System provides information on individuals or entities that have been excluded throughout the U.S. Government from participating in Federal programs. 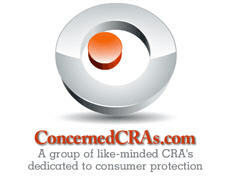 Provides information on individuals who are prohibited by the FDA from being involved in the drug approval process. Compares your applicants against the United States Department of the Treasury, Office of Foreign Assets Control Specially Designated Nationals and Blocked Persons List. This list is otherwise known as the “Terrorist List”. Lists of Names developed by the Department of Foreign Affairs and International Trade and modified by the addition of names provided by the Department of Public Safety and Emergency Preparedness.